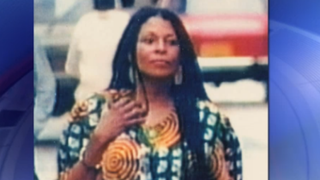 African-American students at the University of California, Berkeley, have issued a number of demands to their school’s chancellor—chief among them that a building on campus be renamed after Assata Shakur, Fox News reports. Shakur, born Joanne Chesimard, is an icon from the 1970s black nationalist movement who escaped from prison in 1979 after she was convicted in 1977 for killing a New Jersey state trooper. Shakur eventually fled to Cuba, where she was granted political asylum. “We want the renaming for someone—Assata Shakur—who we feel … represents us as black students,” Cori McGowens, spokesman for the school’s black student union, said. “We’re at a crisis on campus.” McGowens says that black students at Berkeley are isolated and marginalized. Other requests by the union include additional funds to create positions and the hiring of black personnel who can help them get the resources and support they need to succeed. The students would like three African-American admissions officers to be hired to oversee African-American recruitment and retention, two black psychologists who can offer guidance on how to navigate Berkeley’s “racially hostile campus,” they said, and two black advisers to look after black athletes. They would also like a program specifically created to guide black students along the path toward graduate school. The school’s chancellor, Nick Dirks, did validate some of their concerns and denounced hostile experiences that some of the school’s African-American students have been subjected to.